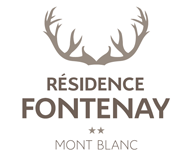 LEFONTENAY RESIDENCE offers family apartments for rent. Visit us in Passy, a few kilometres from Saint-Gervais. Enjoy a pleasant stay in our family apartments with 4 to 6 beds. For your comfort, our apartment is equipped with a television, bathroom and private toilets. Bath linen and household linen are also provided. You also have free Wi-Fi access. You can also choose a 2, 3 or 4 room apartment. In addition to the family apartment, discover our rooms and studios. Whatever your choice, we offer quality service. To enjoy your meals, join us in the restaurant. Our chef will be happy to prepare delicious dishes for you. A few steps from the residence, several activities are available according to the seasons: skiing, hiking, cycling, etc.. Contact us to book your family apartment.